Barcelona has a rather noteworthy selection of museums and similar complexes, including probably some of the best historic collections in Spain. Exhibitions in Barcelona museums range from local to international, big to small, with a number being situated within important Spanish buildings, right in the very heart of the city. Visitors should examine media listings for up-to-date details regarding current and changing exhibitions. On occasion, temporary displays at museums in Barcelona coinciding with a visit may be of special interest, even when the permanent collection is not. Of note, free entry is often available to EU citizens, at specific times, although passports will be required. The Barcelona Museum Picasso is one of the most visited attractions in the entire city and occupies four of the medieval stone mansions on Carrer de Montcada. The buildings alone are worth admiring, with an impressive courtyard and internal staircase, but most people come to see the many works of art and learn more about this world-famous artist. Picasso himself donated many of the paintings and his widow also contributed 141 stunning Picasso ceramics. 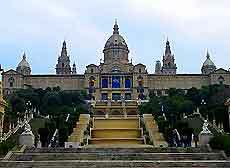 The Museu de Geologia is the oldest museum in the whole of Barcelona. With interesting displays of rocks, minerals and European fossils from over 120 million years ago, this attraction is well worth a visit. Combined tickets can be purchased to visit both the Museu de Geologia and the Museu de Zoologia. This attraction is easy to reach by bus. Recently refurbished, the Museu de la Ciència is a scientific museum with many stimulating, educational and interactive displays, for both children and adults. With regular workshops, a planetarium, many alternating exhibitions, a library and a teaching centre, Barcelona's science museum is understandably one of the city's most popular attractions. The nearest train station is the FGC Funicular del Tibidabo. The Zoological Museum in Barcelona is full of many displays relating to the animal kingdom, with interesting exhibits on mammals, birds and insects. There are also many activities for children to enjoy. The Castell de Montjuïc is a large castle that is situated at the top of Barcelona's Montjuïc hill. The castle was once a military prison and is now home to Barcelona's Museu Militar (Military Museum) which can be reached by cable car. The Ceramics Museum in Barcelona displays a wide range of many different styles of Spanish glazed pottery. With some exhibits dating back over 800 years, highlights include ceramics by Miró and Picasso. Temporary and alternating exhibitions feature work by many well-known artists. 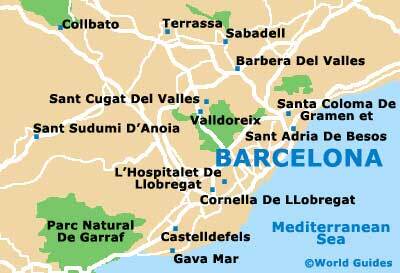 The nearest train stop is the Palau Reial station. Located in the old cathedral school, the Museu de la Catedral de Barcelona is a small museum that is home to a collection sacred paintings and sculptures. Highlights include a 15th-century royal crown and a belt made from precious jewels and stones.